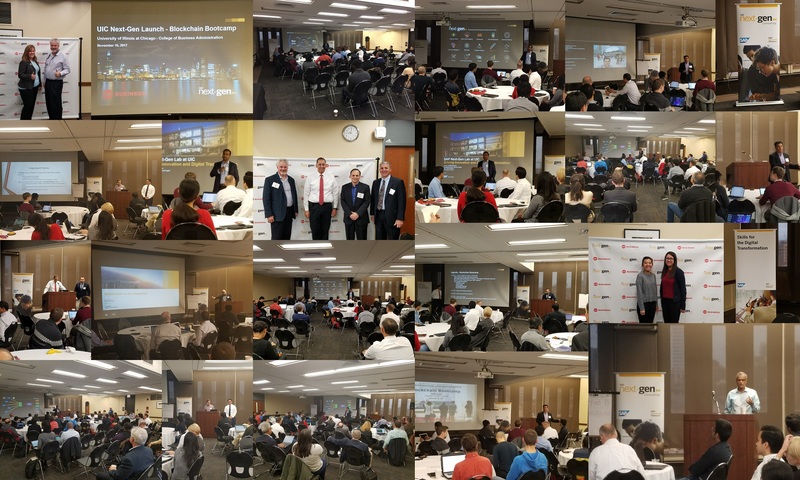 On Thursday November 16th, we officially opened SAP’s newest Next-Gen Lab at the University of Illinois Chicago. After welcoming our guests and celebrating an official ribbon cutting, we featured an initial lab Boot Camp on the exponential technology of Block Chain. We had a large group of business professionals, entrepreneurs, faculty and students join us for a terrific day. Innovative, smart solutions for digital enterprise, leveraging SAP’s latest technologies, with insights from the next generation designers, developers, and business leaders. SAP Next-Gen, in partnership with the SAP Midwest Market Unit, Academia, ASUG, Customers, SAP Partners and Local Thought leaders are committed to the development and on-going nurture of a cross organization, cross discipline community dedicated to the growth and development of best practices, intellectual development and business growth through the journey to tomorrow’s digital Economy. The Next-Gen Laboratory at UIC will serve as a center of knowledge that concentrates expertise and resources in exponential technologies. The center’s programs and research will emphasize advances in information technology, operations and supply chain management, and business data analytics across numerous industries. Through connections with students, startups, thought leaders, researchers, accelerators and venture firms, enterprises will be privy to new concepts, prototype applications and models to reimagine business. UIC Next-Gen will serve as a knowledge and resource gateway for the Chicago region, and will also be the U.S. Midwest hub of a global network of academic and industry researchers promoting the exchange of ideas for disruptive innovation.